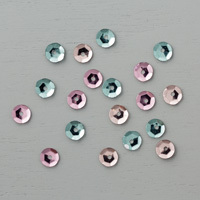 I know this time of year gets very expensive for the majority of us and our crafting supplies have to take a back seat. 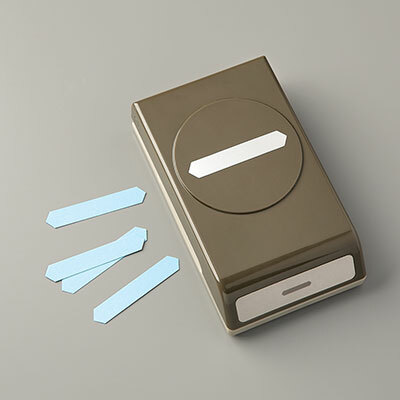 It raises questions like – Don’t like having to buy a stamp set just for Christmas cards? Trying to be economical with your purchases? How can I make my crafting money stretch further? Well here is a possible solution for you. 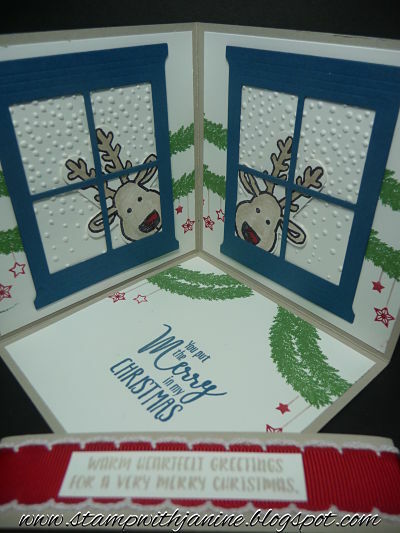 A Christmas card made using only stamps from the Annual Catalogue and none of them are Christmas sets! The trees come from the “Rooted in Nature” stamp set and the background is “Bokeh Dots”. The words came from “Itty Bitty Greetings”. 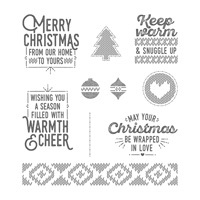 Three non festive season stamp sets to make a great Christmas card. Three stamp sets you will get loads of use from throughout the year! Now that is being canny with your spending!!! The colours I used for this card are Mossy Meadow and Balmy Blue. My class attendees loved this card because it was so effective and very quick and easy to create. 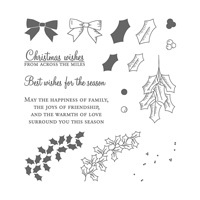 Posted in Cards, Christmas, Quick cards, Stampin'Up! - Tagged Bokeh Dots, Janine Rawlins Stampin'Up! 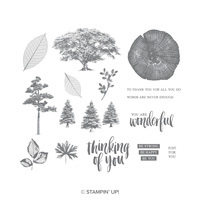 demonstrator, Rooted In Nature, Stampin'Up! It is hard to believe December is here already!!! I finished my last Christmas class with my customers yesterday so now I am able to share with you the cards we did in my class. Attendees had the option of 10 different projects to make in the class. The one I am sharing today was created using the Detailed Deer stamp set and matching dies. I saw the idea for this card on Pinterest. Thank you to who ever created it. 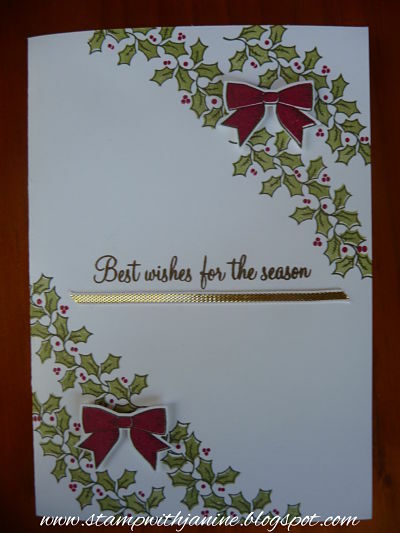 A lovely card and very easy to create. To make the most of your copper foil card, die cut your deer from the copper foil mat. The cut away area is going to be hidden from view by the Merry Merlot mat on top of it. 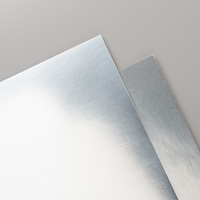 Why waste good foil sheets? In order to get your deer pristine with no crazed lines pressed into it from your clear Big Shot sandwich plate, make sure you have a spare brand new plate on hand and use this as your top layer clear plate when you create your Big Shot sandwich to cut from foil sheets. 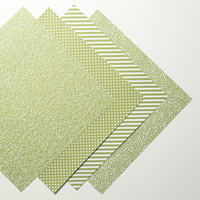 The papers are from the Joyous Noel Speciality Designer Series papers. 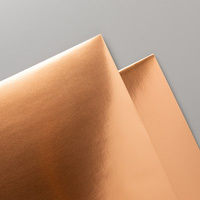 These papers have pretty copper foil accents printed on them. So divine!!! Drop by again soon to see what else we made in my Christmas Extravaganza classes. 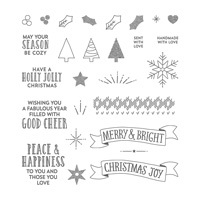 Posted in Big Shot, Cards, Christmas, Classes, Stampin'Up! - Tagged Detailed Deer, Janine Rawlins Stampin'Up! demonstrator, Stampin'Up! Do you ever wish you could avoid buying Christmas stamps and instead make the most of stamp sets you have? Well check out my Christmas card using sets from the Annual catalogue. The poinsettia comes from the “In Every Season” stamp set. I love this set with all it’s floral images. The greeting comes from “Itty Bitty Greetings “. 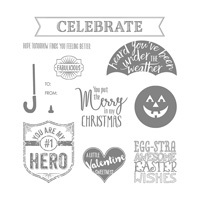 Another great value set with masses of everyday greetings. How’s that for getting good value from your stamp sets! Plus this card ticks the boxes with being quick and easy to create. My type of perfect card! The Stitched Shapes framelits add the extra touch for making a plain card look a bit more fancy don’t you think? Colours used are Real Red, Garden Green card. Markers are Real Red, Garden Green, Tranquil Tide and Daffodil Delight. 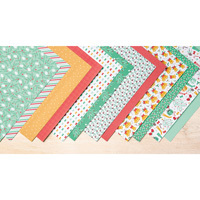 A lot of us need to watch where we spend our crafting dollars, so by looking at stamp sets that will give us good value by covering a multitude of occasions we save ourselves a lot of unnecessary expense. The In Every Season stamp set does just that! 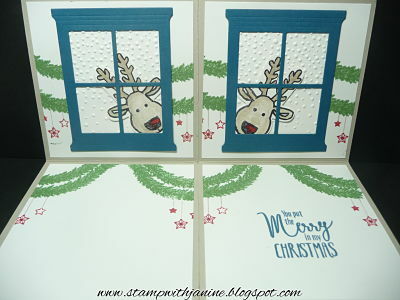 Posted in Cards, Christmas, Stampin'Up! 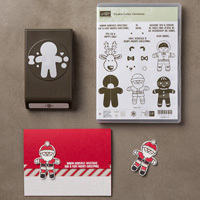 - Tagged Christmas cards, Easy card, Stampin'Up! My team, The Inksationals are a fabulous team of talented stampers. We have wonderful times at our team meetings and we have created terrific friendships. 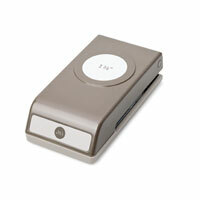 This aspect is one of the great things about being a Stampin’Up! demonstrator. We had our team Christmas Night last week and we made Christmas cards for each team member. Here is my card that I created for my lovely downline. 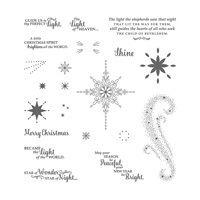 The stamp set is Add a Little Glitz from the current 2018 Holiday catalogue. I coloured in the parcel using the new Stampin’Blends. 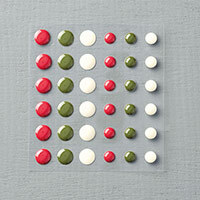 The colours used are Cherry Cobbler and Bermuda Bay. Card size is 4 x 4 inches. 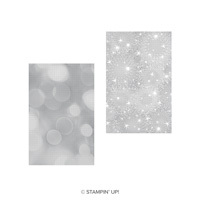 Posted in Cards, Christmas, Stampin'Up! Wow does time fly by. I’ve been focusing on doing daily Facebook pots and sadly my blog has been left behind. Well now to fix that up before Christmas. Here is a card that I CASED from one posted by Amy Koenders. I loved the simplicity of the whole layout. I changed the colours and paper to Real Red and used paper from the Quilted Christmas 6×6 paper stack. 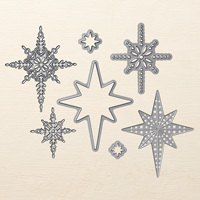 The Winter Wonder embossing folder creates a lovely feature for the card. 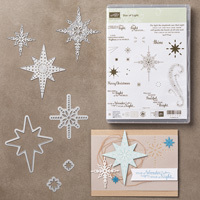 The snowflakes are die cut using the Seasonal Layers thinlits from the Annual Catalogue. I cut them from Shimmery White card. The sentiment is from Flurry of Wishes also from the Annual Catalogue. 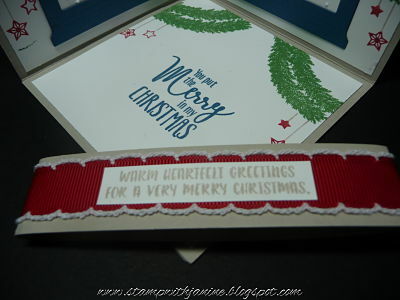 I embossed it with white embossing powder. Hi There! Today is the start of the Stampin’Up! Online Extravaganza. Today is also the 24 Hour Stamp Sale – 20% off selected stamp sets until 11.59pm tonight! Go to my shop by clicking on the Shop Now button to check out everything that is on sale! Good Tidings is one set discounted by 20% today and below is a card i made yesterday using this gorgeous stamp set that is designed to look photogenic. So hop over to my online store and check the Online Extravaganza out. 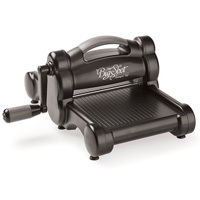 You are bound to find something there that is on your wishlist! I know some of the thinlits on sale are on my wish list! November is here and now we can say Christmas is officially coming! To celebrate the approaching festive season I love holding my Christmas Extravaganza classes each year. It is my way of saying thank you to my wonderful class participants as we celebrate another year of papercrafting together. Here is what we will be creating in class. A mini pizza box filled with gift tags and matching envelopes, a set of Christmas cards and a festive rosette ornament/tag from the Be Merry Kit in the Holiday catalogue. 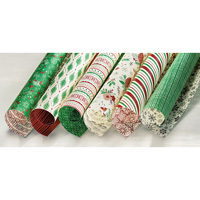 Class fee will be $20 to make three Christmas projects. 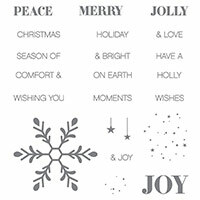 Posted in Christmas, Classes, Stampin'Up! 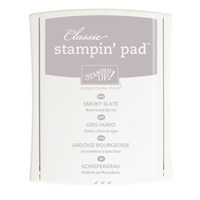 You have to love a special and wow there is a terrific special on at the moment with Stampin’Up! To celebrate the release of the Stitched Shape Framelits Stampin’Up! 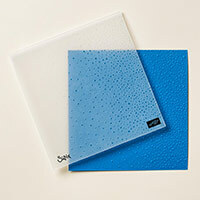 have discounted by 25% selected stamp sets. 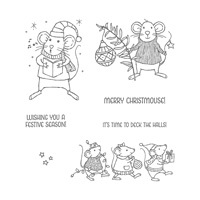 One of the sets is the cute Merry Mouse stamp set in the Holiday catalogue. My big brown box of goodies arrived yesterday with my Stitched Shape framelits and the Merry Mouse stamp set and fortunatley I had some time spare to have a play with them. 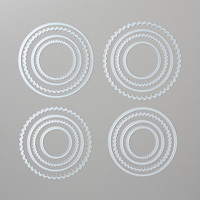 I love the effect created with the new framelits and they work beautifully with the Layering Circles framelits. 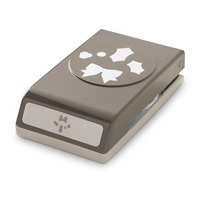 The mouse stamp set is so sweet. It was on my wish list but after purchasing so many new Christmas sets I had to draw a line somewhere but then to have it come on special at 25% discount, well I just had to buy it!!! 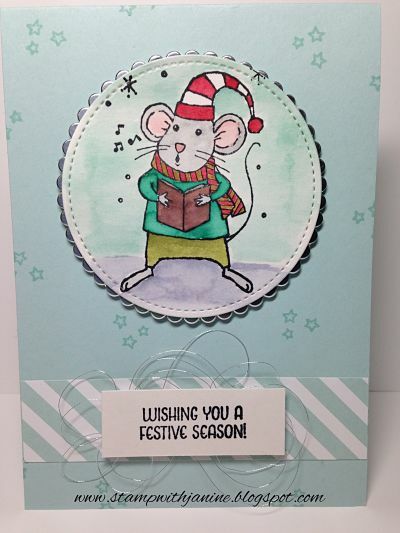 For this card I watercoloured the mouse using my aqua painter and marker pens. 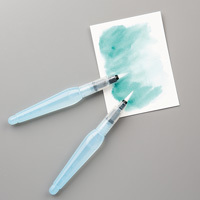 To colour this way smooch some marker pen ink onto a plastic lid and pick up the colour with your aqua painter and colour away. I like to watercolour on Shimmery White cardstock especially for Christmas cards. I can see so many uses for these lovely new framelits and the best news is they are available from now until the next Annual Catalogue and beyond. As for the 25% discount sets, this special is only for this month so get your order in before November 30. To make an order click on the “Shop Now” tab at the top right of this page. 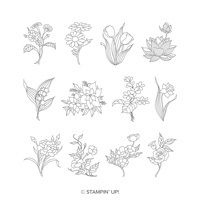 Also here is a link to Stampin’Up!’s You Tube Stitched Framelit guide. 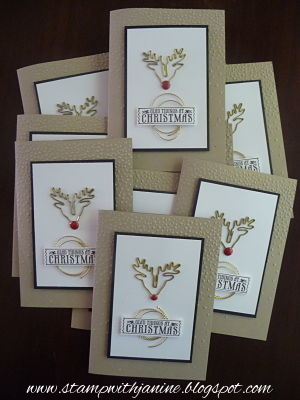 I’ve added a couple of quick Christmas card classes to my calendar. It’s a busy month for me and I had to see how my rosters worked in with family commitments before working out class dates. I am so sorry for the late notice about classes for this month. 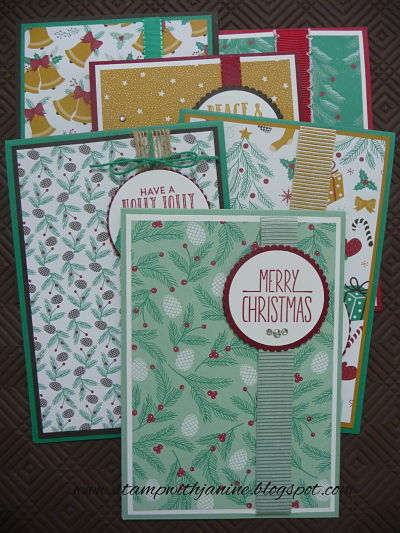 In my Quick Christmas Card class you will make 6 easy cards all using the same layout. The cards are pictured below. This class is a terrific way to get some cards made for those special people in your life who appreciate a handmade card at Christmas. If you are new to cardmaking these are easy cards to create and this will be a perfect class for you to come along to for a play at stamping. We are up in sunny Brisbane, Queensland. Such a warm change from the wet and chill weather we have had back home in Melbourne. Why are we here? 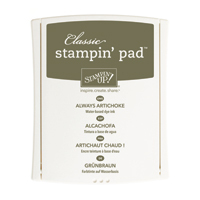 For Stampin’Up! On Stage Live! My team and I have been looking forward to this trip and event for months! One of the highlights will be previewing the new Sale-a-bration and Occasions catalogues and better yet, getting to play with the products from these catalogues! You just have to love being a Stampin’Up! demonstrator!!!! My pillow gifts are from a sample that my downline Simone Bartrum created for our stand display at Paperific a couple of months ago. I loved the sample as soon as I saw it and decided yes my pillow gifts for On Stage are sorted! 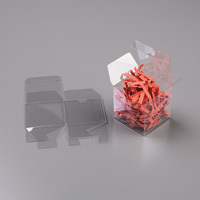 The cute little boxes are Clear Tiny Treat Boxes 141699 page 176 in the Annual Catalogue. They are easily missed in the catalogue but look how cute they are! 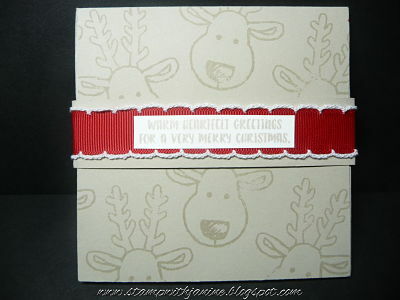 Inside are eight Christmas gift tags made from Cherry Cobbler card. The pretty paper used comes from a Designer Series Speciality Paper pack in the Annual catalogue – “This Christmas” 141628. Aren’t the tags so sweet? The tag size folded is 5x5cm. 10×5 unfolded. 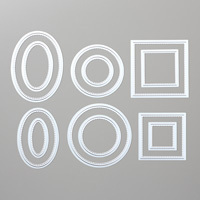 The Layering Square and Layering Circle Framelits were used to cut out the paper and silver foil pieces. 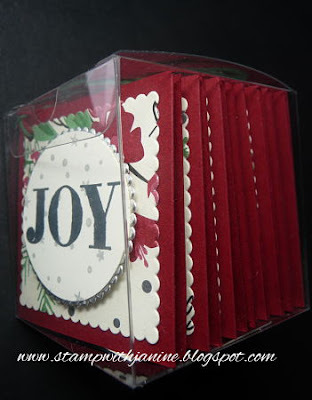 The 1 3/8 circle punch created the stamped sentiment piece. The stamps are from Holly Jolly Greetings 139879 page 34 Annual Catalogue. Ink is Black Memento and Smoky Slate on Very Vanilla card. 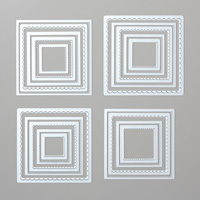 To create a pop, the silver foil sentiment piece is raised with Stampin’Dimensionals. 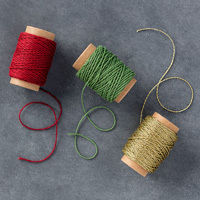 Punch a hole for the tag strings with the 1/8 inch hand held punch and thread through Cherry Cobbler and Garden Green Bakers Twine from the Trio pack 141999 in the Holiday catalogue. I hope my roomies love their cute pillow gifts! My classes are over for this month and we had a wonderful time creating six different projects. 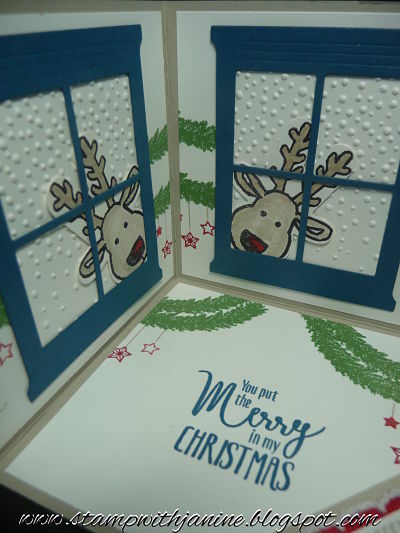 Here is one of them – a Corner Pop-up card using the reindeer stamp from the Cookie Cutter Christmas stamp set and matching Cookie Cutter Builder punch. I love making these cards and customers are always fascinated and intrigued to see how they are made and then once they see the creation process they are amazed at how easy it is to create. So above you can see the card set up for display. Below is the card unfolded. The idea for the window and reindeer was CASE’d from a tag I saw on Pinterest by Tracy Elsom Great idea Tracy – thanks! 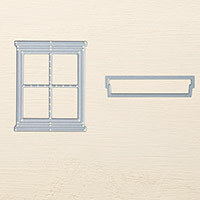 The die used to cut the window frames is from Hearth & Home thinlits in the annual catalogue. 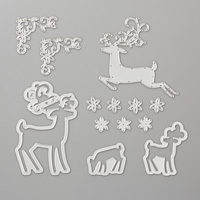 The snowfall effect is from the Softly Falling embossing folder. How effective is it! The garland stamps and hanging ornaments are from the Forever Evergreen stamp set in the Holiday catalogue page 35. The hanging ornaments were inked using Crumbcake and Real Red markers, marker to rubber technique. You can purchase these as a pair in the Holiday catalogue. 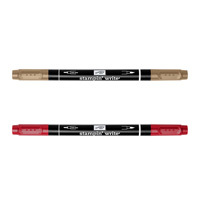 Great to be able to get markers without having to buy a whole set. The sentiment is from Stampin’Up!’s Ronald McDonald House charity stamp set – My Hero. $3 from every sale of this set goes to Ronald McDonald House Charities. 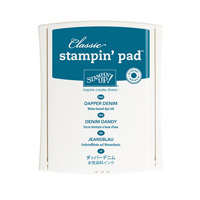 The ink used is Dapper Denim. The belly band has been wrapped in the gorgeous Real Red Stitched Edge ribbon. 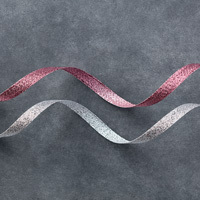 This ribbon is beautiful! Here is the card all folded up ready for giving. Card used for the card base is Sahara Sand. You would never guess what is inside! 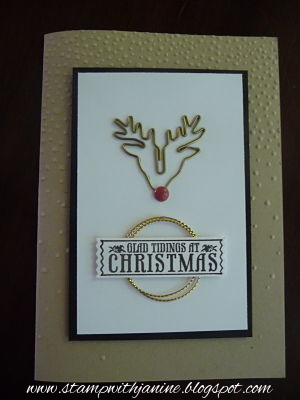 See below for all the products used to create this card. Click on the items to be taken to my online Stampin’Up! store. Hope you enjoyed my card. This week I am holding my Christmas Extravaganza classes and I do have a few places available if you are interested. I posted one of the class cards a few posts back you can view it here. 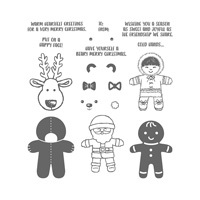 Below is another of the cards we will be making in class using the Holly Berry Happiness stamp set. My Saturday class is fully booked. Looking forward to a terrific time in classes! It’s time to think about getting your 2016 Christas cards underway and I am here to assist you in that regard. 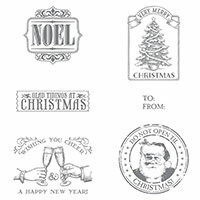 This month I will be holding my annual Christmas Extravaganza Class where you will make a selection of Christmas cards and tags. Here is one of the cards you create during the class. 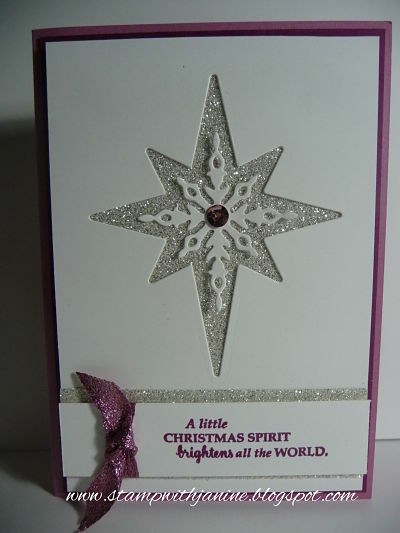 This gorgeous card uses the pretty bundle of dies – Starlight thinlits and stamps – Star of Light. If you would like to book your class spot here are the dates. 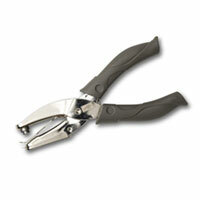 Class fee is $25, all materials provided please bring a paper trimmer. 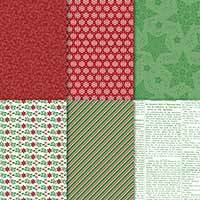 You will create 5 different Christmas projects. I’ll share some more of them on here between now and class dates. Classes are held in Mt Waverley. A late Christmas post but life has been very busy here with settling my mother into Aged Care, selling her home and packing it up, along with Christmas plus work thrown into the mix, I have been rather lacking in computer time. Any way here is the cute card I used as my customer Christmas card this year. I loved this idea when I spied it on Pinterest – thankyou Amanda Bates for sharing, that I had to come up with my own version. 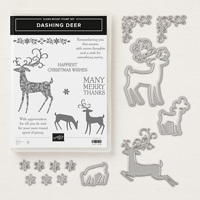 If you are really quick you might still be able to get yourself some of the reindeer paper clips139643 they are still available from the Holiday catalogue until midnight January 4th. Also retiring will be the gold cord trim, and the enamel dots. 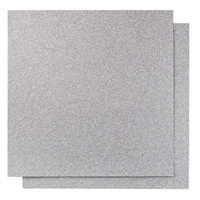 The embossing folder Softly Falling is returning in the Occasions 2016 catalogue. The sentiment came from one of the Holiday catalogue Host sets Antique Tags. You can still get that set if you make a $250 Aust product order but again only until midnight January 4th. I loved making this card. It was quick to put together and so cute! I’ve actually ordered more paper clips so as I can offer this card in Christmas class later on in the year. Sorry the paper clips would not come up as an icon. Just a quick update and explanation as to why things have been quiet on my blog. My Mum is ill in hospital and will need ongoing care so I am busy arranging Aged Care for her. This is taking up a huge amount of my time so my blogging has had to take a back seat for now. I hope to be back soon sharing wonderful Stampin’Up! creations with you. 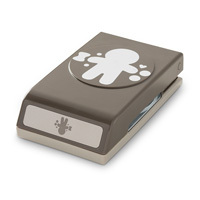 To give you something crafty here is a You Tube video from Stampin’Up! We made these pillow boxes in my Christmas Extravaganza classes. They are so cute and fun to decorate. 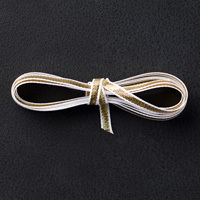 Perfect size for a gift card or small gift like jewellery. 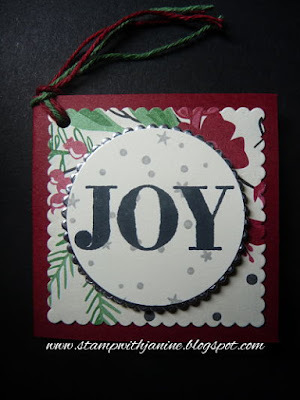 Hi, I’m Janine Rawlins and I love stamping! Hence the name of my blog. I am an Independent Stampin’Up!® demonstrator in metro Melbourne, Victoria, Australia. 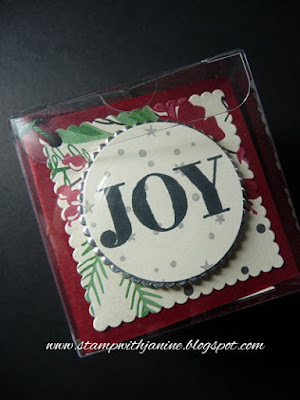 All content, including designs, concepts, texts and photographs are the property of the author of this blog – Janine Rawlins, Independent Stampin’Up!® Demonstrator. The content of this blog is my sole responsibility. 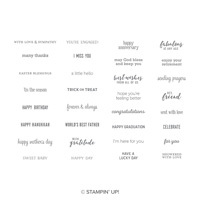 All stamped images are Copyright 2018 Stampin’Up!® unless otherwise stated. The use of and content of the classes, services or products offered on this blog is not specifically endorsed by Stampin’Up!®. Copyright © 2019 A Fanatical Stamper. All rights reserved.